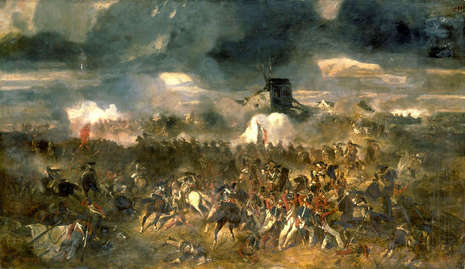 In the Battle of Waterloo (Sunday 18 June 1815 near Waterloo, Belgium) forces of the French Empire under Napoleon Bonaparte and Michel Ney were defeated by those of the Seventh Coalition, including an Anglo-Allied army under the command of the Duke of Wellington and a Prussian army under the command of Gebhard von Blücher. It was the decisive battle of the Waterloo Campaign and Bonaparte's last. 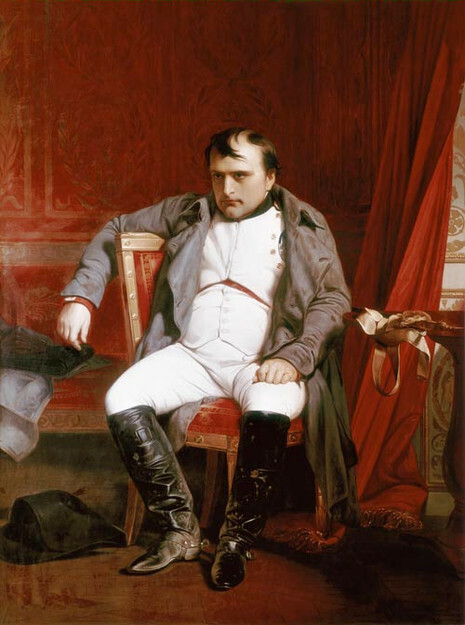 The defeat at Waterloo put an end to Napoleon's rule as the French emperor, and marked the end of Napoleon's Hundred Days of return from exile. Upon Napoleon's return to power in 1815, many states that had opposed him formed the Seventh Coalition and began to mobilise armies. Two large forces under Wellington and von Blücher assembled close to the northeastern border of France. Napoleon chose to attack in the hope of destroying them before they could join in a coordinated invasion of France with other members of the Coalition. 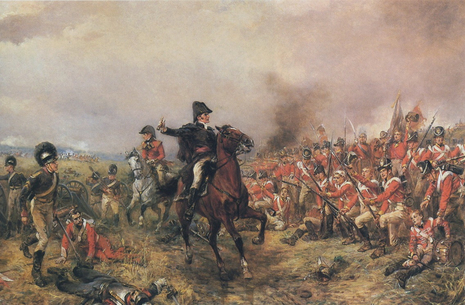 The decisive engagement of this three-day Waterloo Campaign (16 June – 19 June 1815) occurred at the Battle of Waterloo. 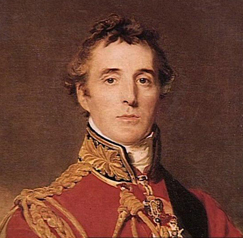 According to Wellington, the battle was "the nearest-run thing you ever saw in your life." 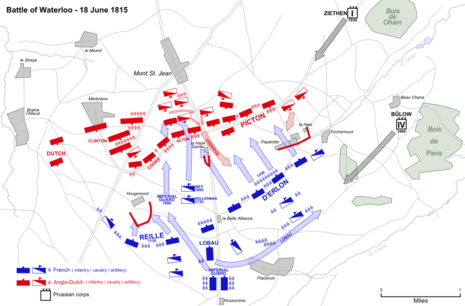 Napoleon delayed giving battle until noon on 18 June to allow the ground to dry. Wellington's army, positioned across the Brussels road on the Mont St Jean escarpment, withstood repeated attacks by the French, until, in the evening, the Prussians arrived in force and broke through Napoleon's right flank. 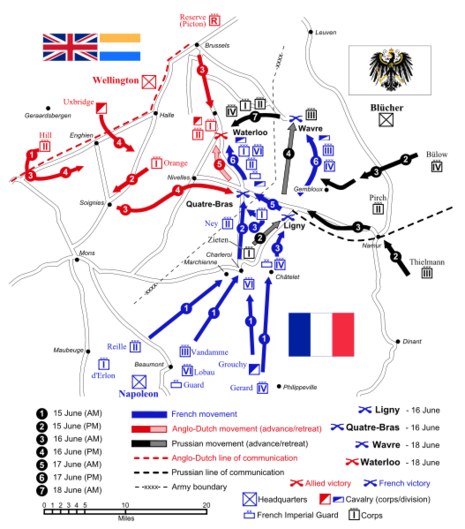 At that moment, Wellington's Anglo-allied army counter-attacked and drove the French army in disorder from the field. 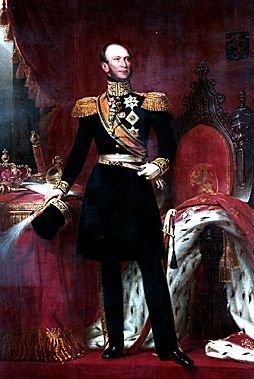 Pursuing Coalition forces entered France and restored Louis XVIII to the French throne. Napoleon abdicated, surrendered to the British, and was exiled to Saint Helena, where he died in 1821. The battlefield is in present-day Belgium, about eight miles (12 km) SSE of Brussels, and about a mile (1.6 km) from the town of Waterloo. 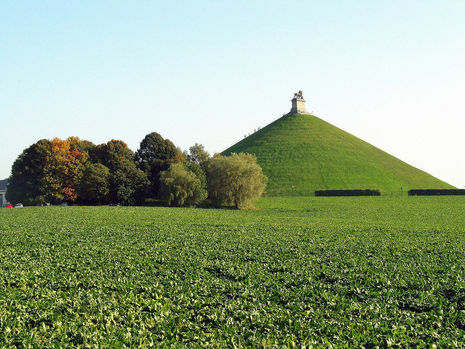 The site of the battlefield is today dominated by a large mound of earth, the Lion's Hillock. As this mound used earth from the battlefield itself, the original topography of the part of the battlefield around the mound has not been preserved.